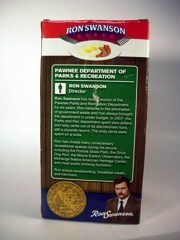 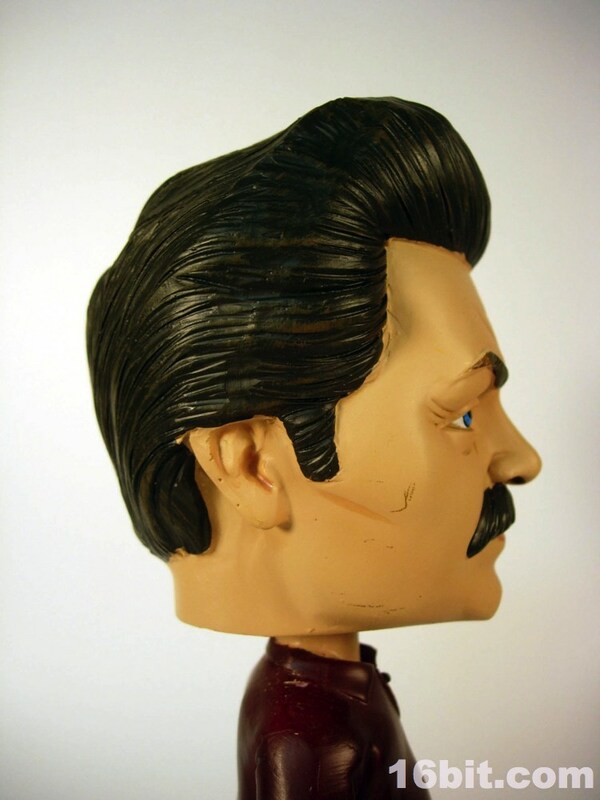 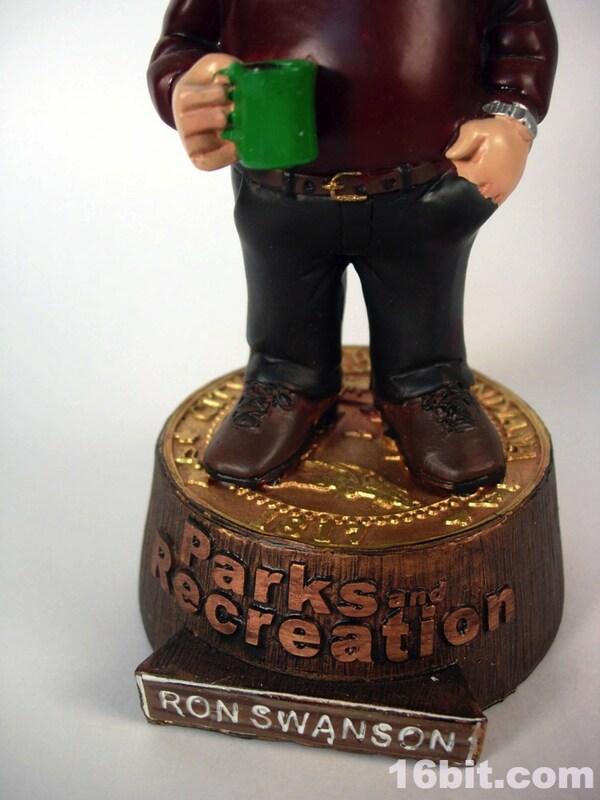 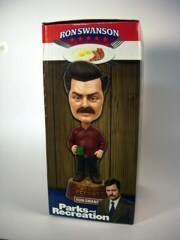 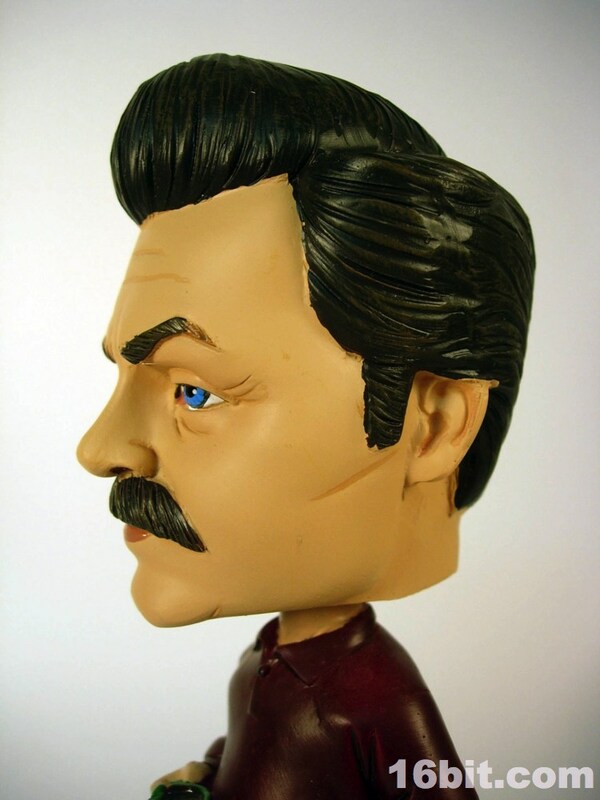 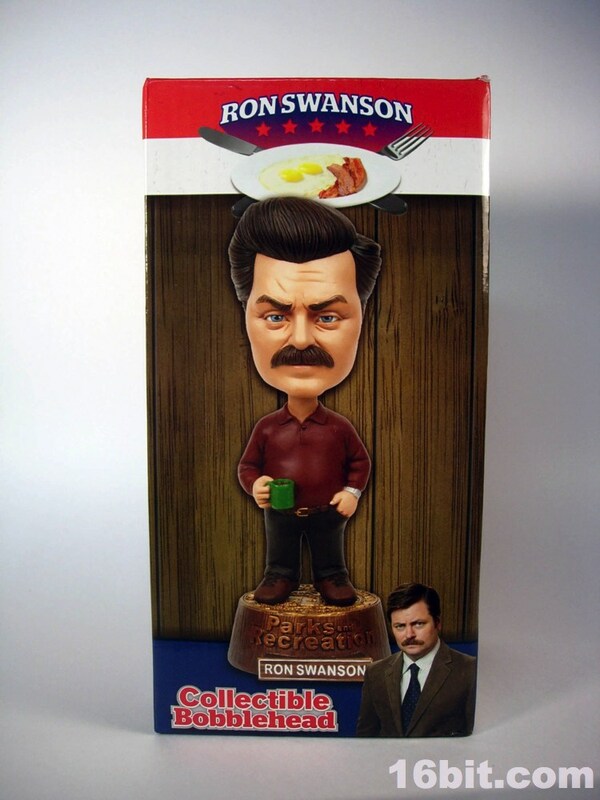 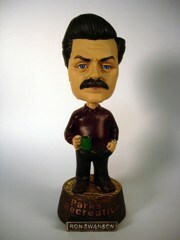 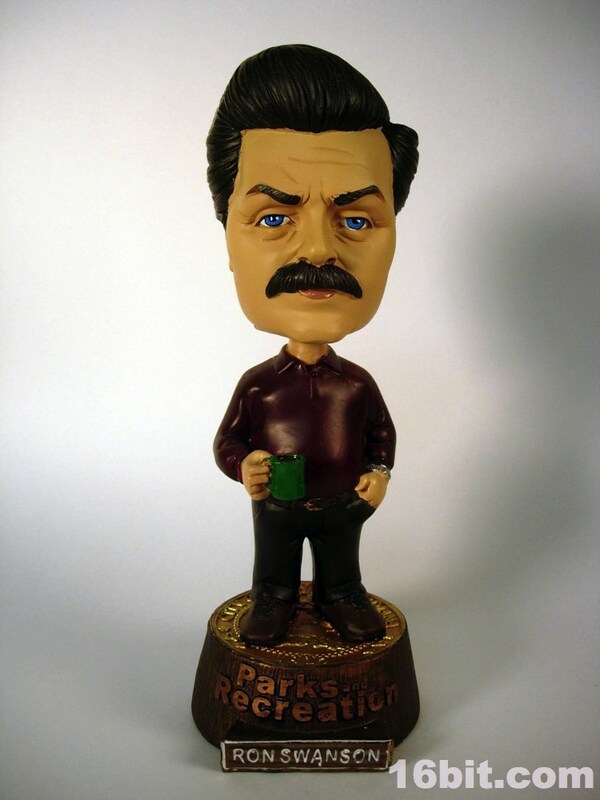 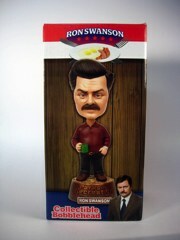 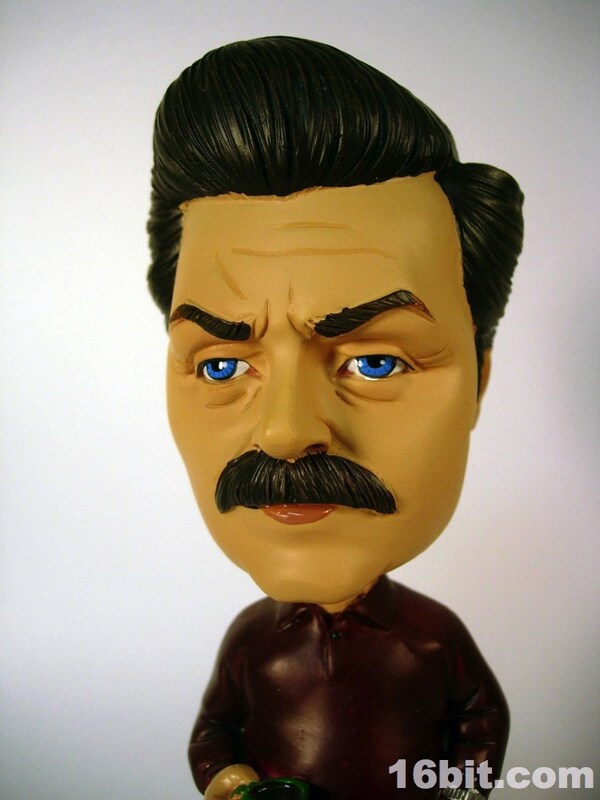 Everybody's favorite character on Parks and Recreation is most likely Ron Swanson, and the NBC store sells a bobble head of the character. I don't know if Nick Offerman knows this exists, but if he does, I hope he likes it. It's a heavy resin bobble head, so it's not quite as durable as the Funko items, but it does have a lot of sculpted detail and at $20, it's certainly heavy enough to feel that you're getting your money's worth. 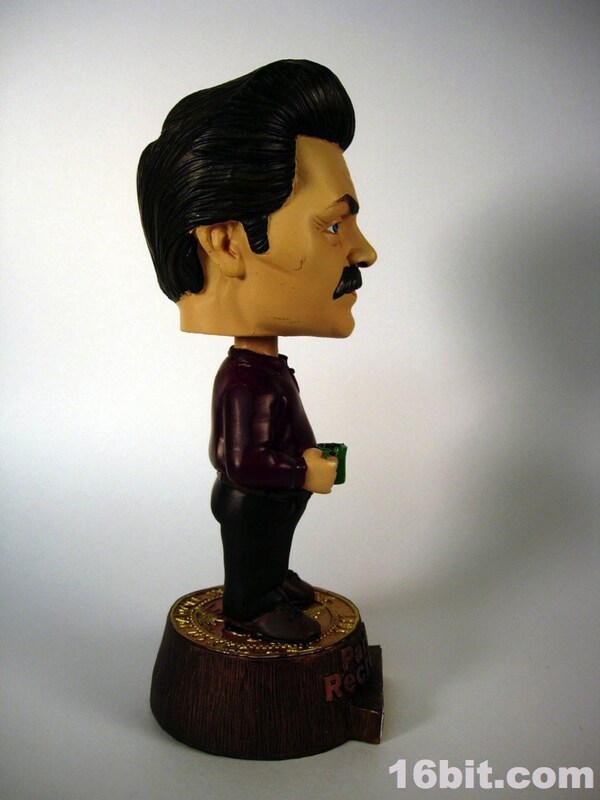 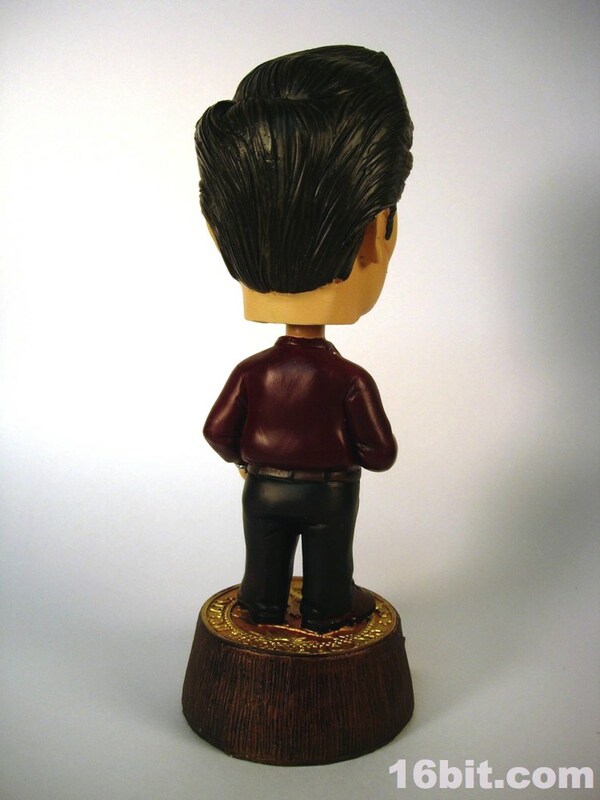 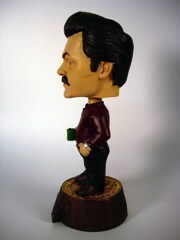 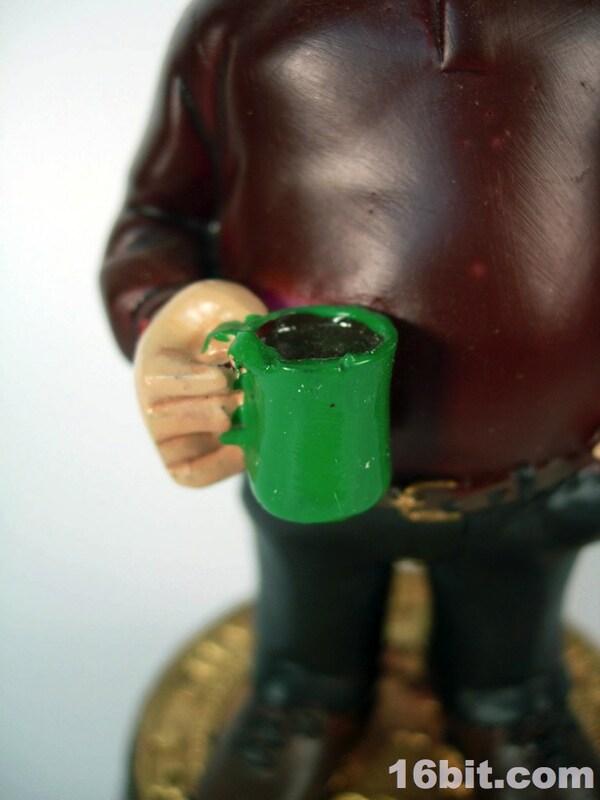 While a little tall for a bobble head, the figure has a fake wood base and a coffee mug. 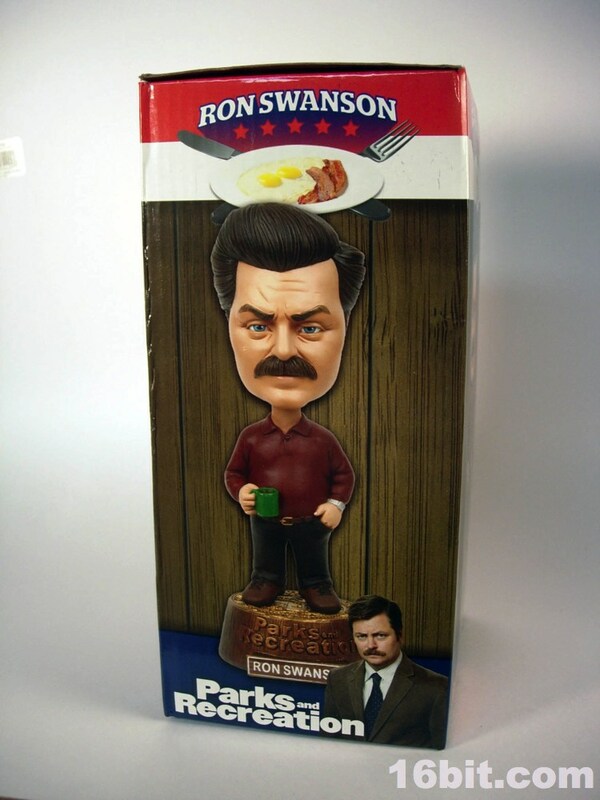 The paint job on the box is wonderful, but the actual figure is a little sloppy in spots. If you look at his coffee mug, you can see some spillover from the hand to the mug and vice-versa. 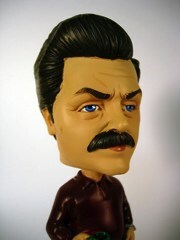 The head is largely good, but there's a little splatter around the hairline. 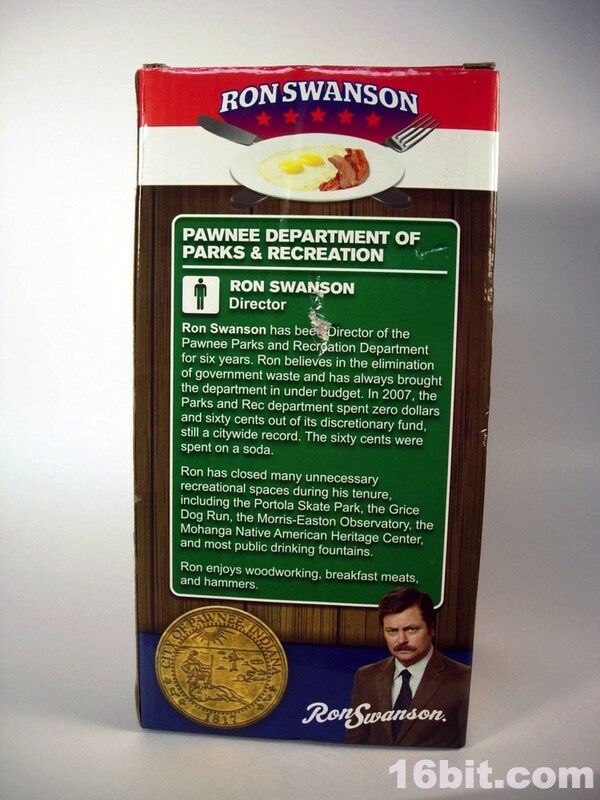 For $20 I don't expect the world, but it would be nice if it looked as good as the sample in the packaging photography-- it comes close, but even the character's name placard is pretty messy.